Would you really want an S-Pen? With Mobile World Congress mere weeks away, there have been dozens of rumors rising up about successors to smartphones like the Samsung Galaxy S3. 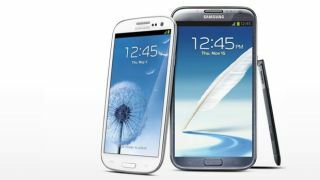 After having incredibly wild success with the S3, a new iteration is a no-brainer for Samsung, which is believed to be readying the Galaxy S4 for 2013. Though Samsung hasn't officially announced any plans for such a device, that hasn't stopped the rumor mill from churning out bit after bit of supposed Galaxy S4 information. Today we have a few more data points to add, though by no means is any of this confirmed. Samsung, like most mobile companies, likes to stay close-mouthed about its new products, but we may have a jump on what to expect from the S4 thanks to all these squeaky wheels. The Galaxy S4 has reportedly been in production since late last year, and a great many reports share similar details about what the insides will look like. The Android-powered smartphone is routinely expected to include a 5-inch full HD screen with 440ppi, and feature the new 1.8GHz Octa processor. Oddly enough, even after some images of the S4 were leaked, people still can't seem to agree on whether or not there will be a home button on the smartphone. A new report from Korean news outlet D Daily seems confident the the Galaxy S4 will feature a home button like the S3, as well as touch keys. Though the supposed images of the S4 featured a streamlined front screen with no visible buttons, it's still quite possible that's what the smartphone will look like. In January, it was reported Samsung made a $58.9 million (UK£37 million, AU$56.4 million) investment in Wacom, earning the company a 5 percent stake in the stylus maker. It was then believed future Samsung devices would include the company's proprietary S-Pen, including the rumored Galaxy S4. Sadly, the D Daily also indicated Samsung would be dropping the S-Pen stylus from the Galaxy S4, adding that the phone would still include "non-contact gesture." What that means is the phone may be able to recognize fingertips from a small distance away from the screen, allowing users to keep the display free of smudged fingerprints. There seems to be a lot of "fact or fiction" surrounding the Galaxy S4 at the moment, but we should discover very soon just what Samsung has in store for the next generation of the S series.